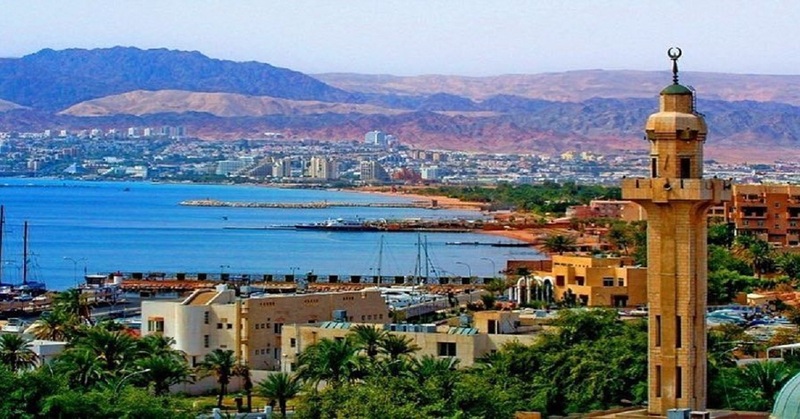 Sun-kissed Aqaba is a booming tourist town in Jordan and it is known for its beachfront resorts and a myriad number of activities. Nestled on the southernmost tip of the country, Aqaba is unique from other destinations, thanks to its enticing turquoise waters. How to Spend Three days in Jordan’s only Port City? We have tried to include all the popular attractions of the small yet dynamic city in three days. Here’s our definitive guide to explore Aqaba in three days. Arrive at King Hussein International Airport early in the morning. Prefer to book an hotel accommodation with the perfect backdrop of golden beaches to enjoy Red Sea views. Choose local bus or taxi or shuttle service to reach your hotel from the airport. Check in at your hotel at the earliest and get ready to explore the attractions. Start your tour with Aqaba Castle. Step back in time and feel the past while wandering through the Aqaba Castle or Mamluk Fort. This castle is a famous site dating back to the First World War. You can spot the messenger pigeons’ place and horse stables. Climb up to the second floor of the fort for better city views. Be careful when you’re walking inside the fort as there are no handrails installed. You can find restaurants near the fort to taste the Jordanian food. Following lunch, visiting the Aqaba Archaeological Museum is a must. Located adjacent to the castle, the museum serves as the best introduction to Aqaba’s history housing a collection of Bronze-Age artifacts dating back to 4,000 BC. 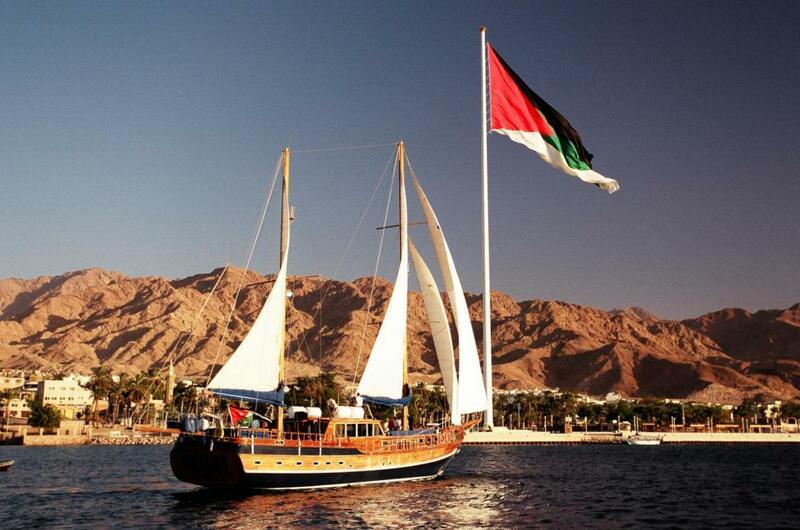 Head to Arab Revolt Plaza to visit the giant Aqaba Flagpole – the sixth tallest free standing flagpole in the world. Have some coffee or tea or snacks and enjoy the camel or horse rides around the flagpole. The 130 metres-high flagpole can be seen from Saudi Arabia as well as Egypt. Following the fantastic evening, head to one of the top restaurants in Aqaba for tantalizing dining. Must try Jordanian dishes include falafel, Fattet Hummus, Kousa Mahshi to name a few. 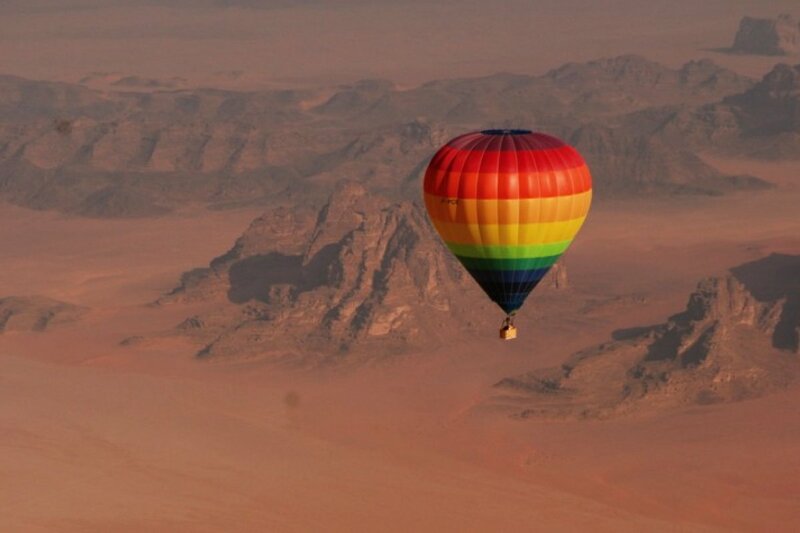 Wake up early in the morning and get ready to join the joyful and thrilling hot air balloon ride at Wadi Rum. It’s a protected desert in southern Jordan. Drive out to the Wadi Rum and reach before the sunrise (takes a 50-minute drive from Aqaba). Hot air balloon ride takes around one hour and one must allow at least 2 to 3 hours to enjoy the most. Pay the fee to the pilot and they accept only cash. The fee can be paid after the ride. Pack some snacks, wear a hat and don’t forget to put on some sunscreen. After enjoying the bird’s-eye view of the beautiful desert landscapes, go for camel rides or jeep tour – the most common activities of Wadi Rum. You can see many Bedouin camps providing traditional Bedouin meals. Enjoy lunch at the Bedouin camps and get back to your stay and have some rest. Al-Hafayer Beach or Al-Ghandoor Beach is the free public beach inside the city. Head to the Aqaba Marine Park to spend some chill-out time and to enjoy the truly spectacular sunset with a cup of tea or coffee in hand. Wake up early and have some quick breakfast at the hotel. It is the last day in Aqaba for you. Spend some fantastic time at Aqaba beaches and indulge in some adventurous activities. Renowned worldwide for its diverse marine system, the city is home to a number of hard and soft coral species and over 1,000 species of fish. Shopping in the Old Town of Aqaba is must-do activity. Head to the Old Town and experience the traditional Arab marketplace. 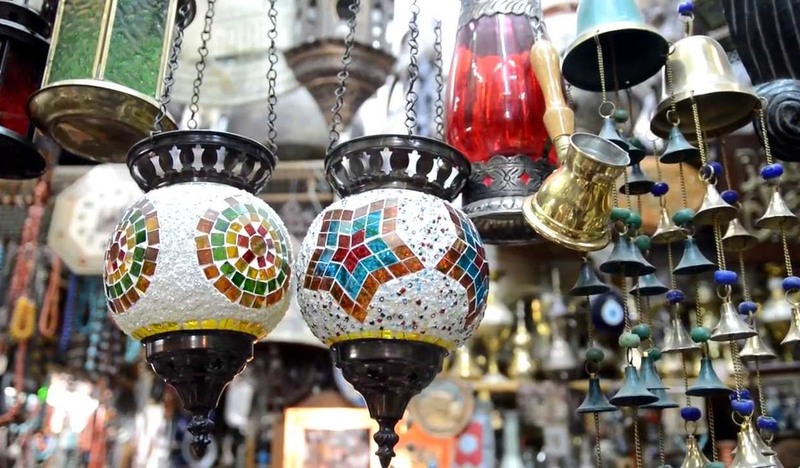 You can find a stretch of ramshackle shops and stalls selling everything a tourist can dream of – from hookah pipes, colorful stained-glass lamps, to local herbs and spices at unbelievable low prices. Don’t hesitate to bargain as prices can be raised especially for tourists. Head back to your hotel and get your bags ready to fly-off. Leave some time for your relaxation and make sure to arrive at Aqaba’s King Hussein International Airport within check-in deadlines. How to Get Visa for Aqaba? Tourists can purchase the Jordan visa upon arriving at the King Hussein International Airport. The visa fee varies for single entry, double entry, and multiple entries. Visa fee must be paid in the local currency and visa period can be extended at any police station. Note: The visa requirements changes for nationalities. Please contact local embassy for more information. Pack your bags and set your wings today to explore the charming Aqaba city!